What do you get when you combine 700 works by 500 artists and a room full of eager collectors? 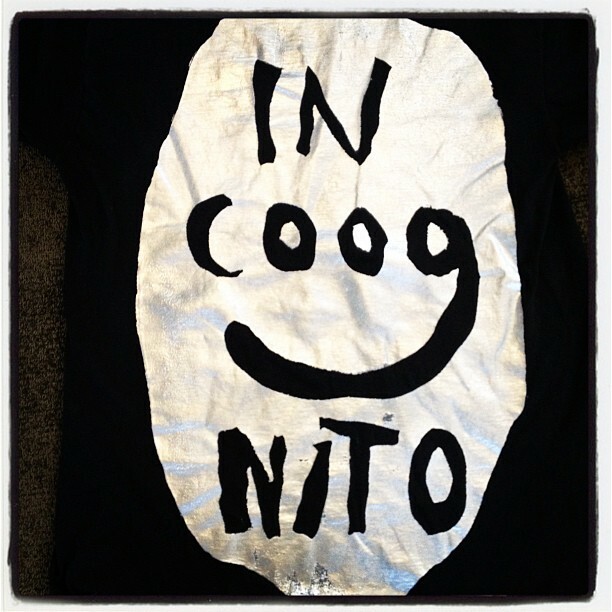 SMMoA’s “Incognito 2012” delivered yet another exciting evening of art and celebration. 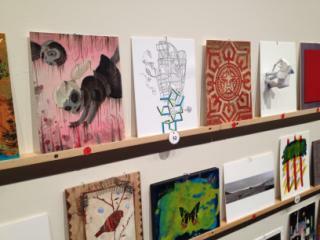 All works were donated by the artists as a fundraiser for the Santa Monica Museum of Art at Bergamot Station. 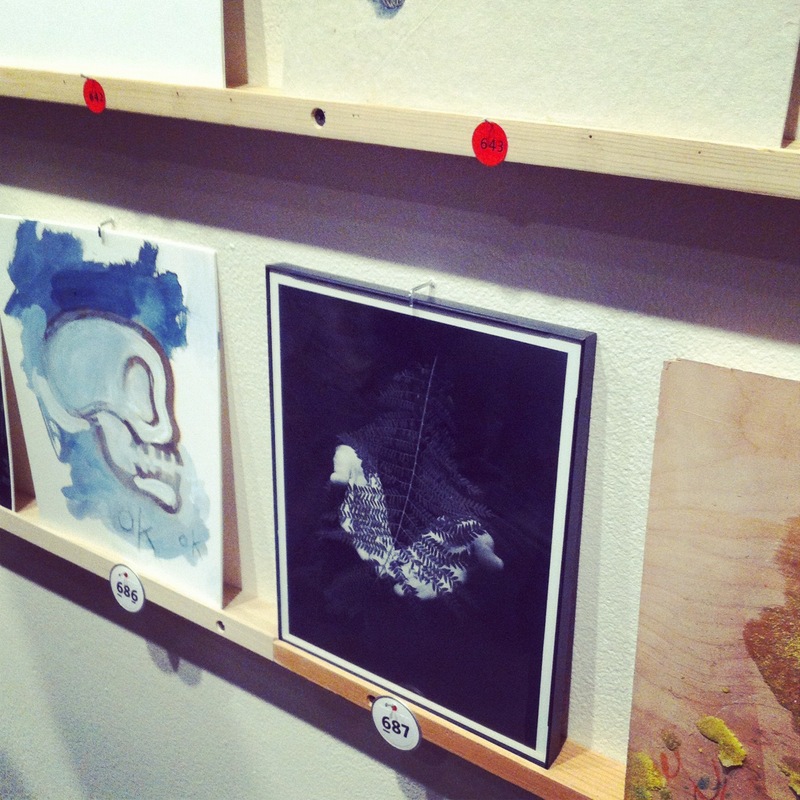 The rules: Pieces are no bigger than 8 X 10 and all are priced at the same level. The twist? The artists are not revealed to the buyer until after purchase, so works by Ed Ruscha, John Baldessari, Judy Chicago, Gary Baseman, and Shepard Fairey sit alongside those of emerging artists. The museum encourages guests to trust their instincts. According to the Santa Monica Daily Press, the idea originated from London’s Royal College of Art and was brought to SMMoA by Elisa Longhauser, the director of the museum. I first learned about Incognito last year when I visited the second opportunity sale. In the world of contemporary art collection the individual who owns the art is just as important as the person who created it. Incognito obliterates all pretenses relating to artists reputations being enhanced or impacted by who owns their work. Let’s be real though, there are various levels of sponsorship for the event, with some offering many patrons a sneak peek of the work at Precognito held the Thursday before the event. I worked myself into a fan-girl frenzy when I saw a couple of pictures from Precognito posted by Society News LA the night before Incognito. Not so fast. Entrance to Incognito is kind of like a Southwest queue but based on sponsorship level, so we were in the equivalent of SW’s Group “B” 31-60… (cue the “Price is Right” loser horn) Consequently, if the well-known artists don’t camouflage their work, the likelihood of it quickly succumbing to the “red dot” is pretty high. This did not deter me and my better half for hatching up shrewd strategies to make the most of the event: We fortified ourselves with Margaritas. We agreed we wouldn’t point out pieces. We surveyed, narrowed our focus on certain sections of the museum hall, divided and conquered. We even had a code word for when we spotted a piece we absolutely had to have. With over 700 works on display there were many wonderful selections to choose from. You do have to move quick. One lingering look plus a minute of ruminating over the piece and the next thing you know it’s gone. After this happened to us twice, we quickly decided that instincts have no time for ruminating. In sum, it was a heady mix of So Cal rain, fedoras, hipster glasses, artists, wellies, a nice Simon Baker sighting and overall fabulousness. I had a great time and I’m looking forward to Incognito 2013. A great blog, I love your energy, humor and excitement! The analogy to SW’s cueing is hillarious. Congratulations to you and hubby for snapping up some great pieces sounds like a great event! Happy collecting. Thanks, it was a great event. We had fun and we are enjoying our new pieces!